Using a 500mm mirror lens with a set aperture of f/8, any picture you take will have an extremely narrow depth of field (DOF) which usually means major issues when trying get a subject in sharp focus. Another problem is the dreaded ‘bokeh doughnut’ effect that mirror lenses tend to create, which can be seen above. 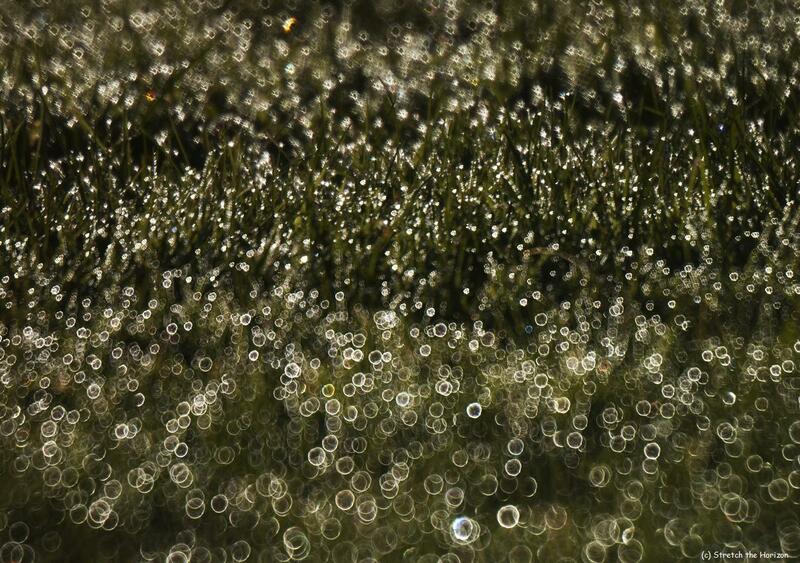 This shot of dew-splattered grass highlights the thin DOF perfectly, with just a sliver of grass in focus and the water droplets on the grass either side of this sharp-spot have now been rendered as light rings.